A brace from Lee Grinyer at Walkern yesterday saw him move to the top of this season's goalscorers table. Last week's heavy rain yet again saw the postponement of the First Team's home fixture; the forecast for this week is good and we hope that normal service will be resumed this weekend. 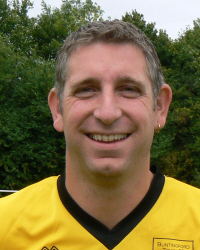 The Reserves did play on Saturday, at Harpenden Rovers, and experienced an uncharacteristic thumping, going down 6-1 with Louis Gilbert scoring the side's lone goal; the side will need to put in a much better performance this week when we will be visited by Mill End Sports in the Reserve Cup.